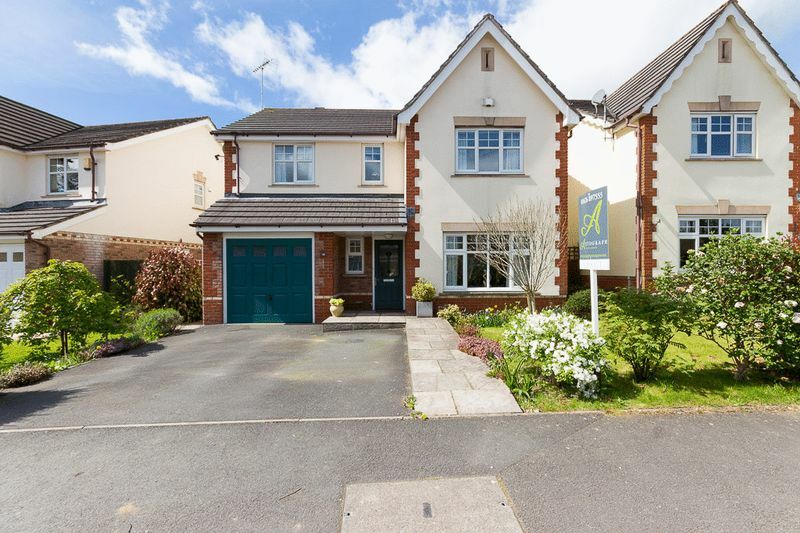 A beautifully presented and very spacious modern FOUR DOUBLE bedroom detached house in a highly sought after part of Chudleigh. 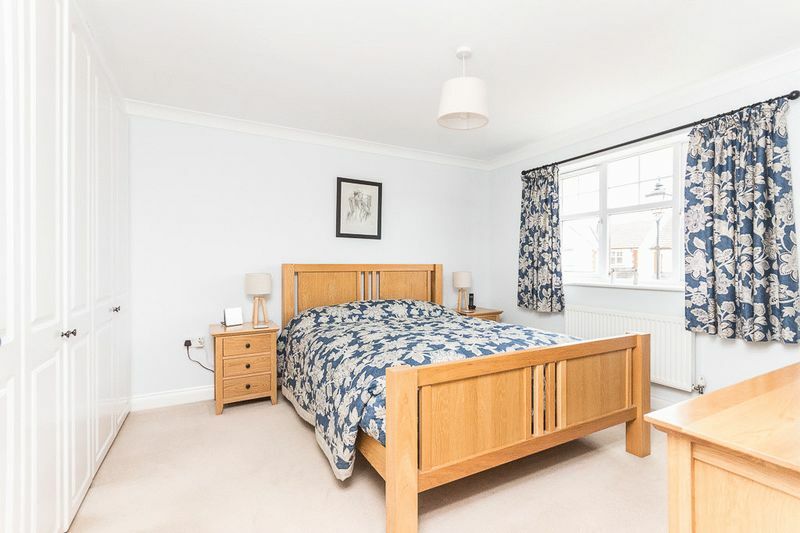 Boasting two receptions rooms, a large kitchen/breakfast room with a separate utility, master en-suite, level lawned garden and double width driveway. 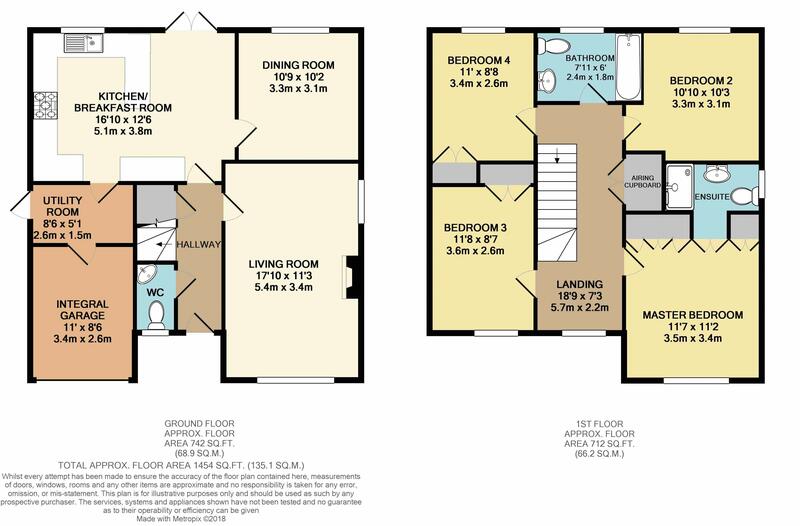 Viewing is highly recommended to appreciate all the space this property has to offer. Upon entering the property you can immediately see that the property has been lovingly maintained and improved by the current owners. 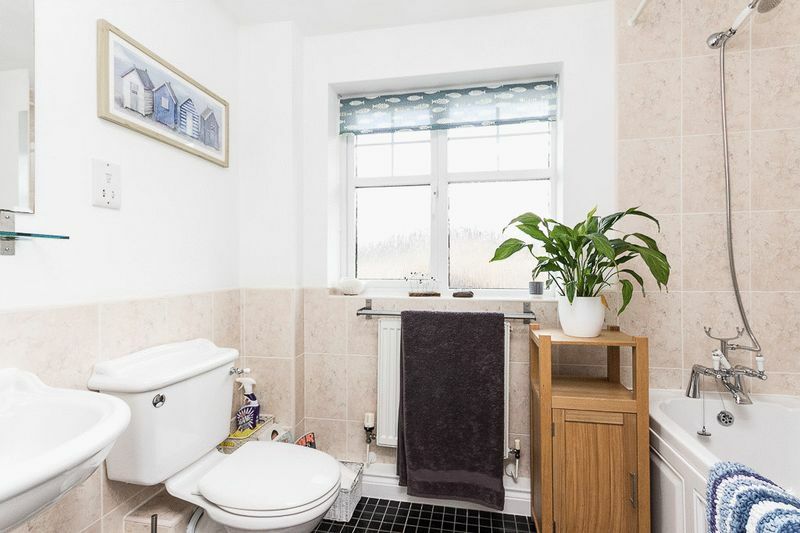 There is a Cloakroom off the entrance hallway with an obscure glazed window overlooking the front aspect, a WC and a wash hand basin with a rustic mosaic style stone splash back, matching window sill and flooring creating a very stylish WC! In the entrance hall there is also a boot cupboard keeping the hall clutter free and the staircase to the first floor. 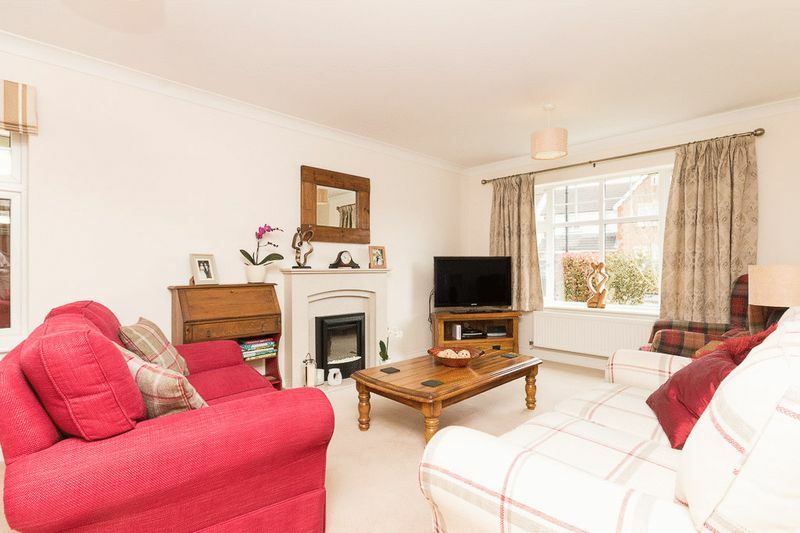 The living room is a great size with plenty of natural light from the front and side windows. 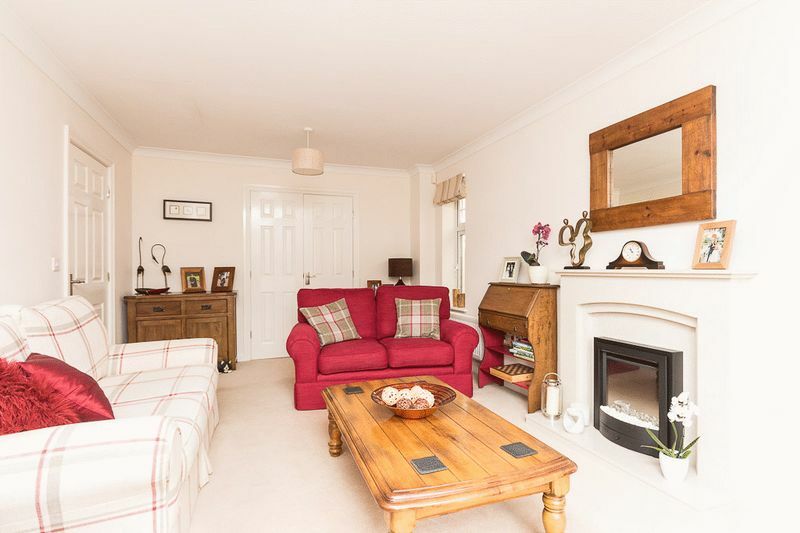 There is an attractive fireplace with a remote electric fire inset and decorative surround giving the room a real focal point. 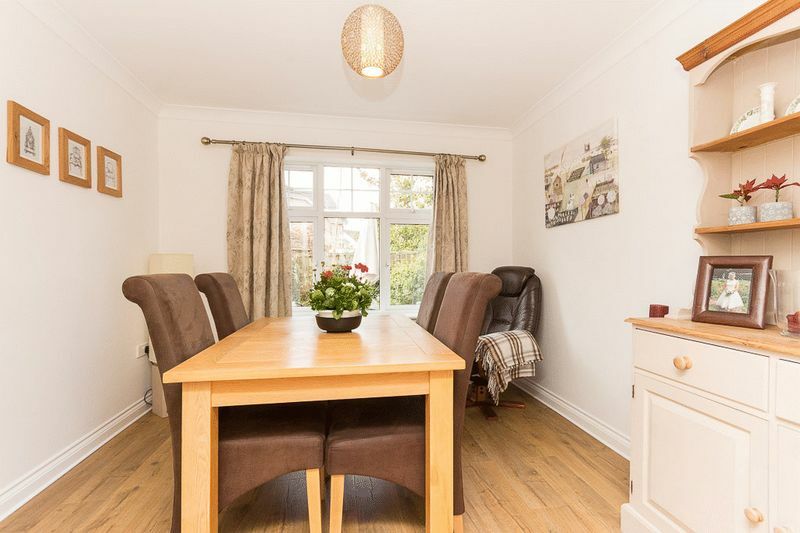 This property flows beautifully with double doors opening into the separate dining room with a large window overlooking the rear garden also continuing the wood effect flooring with plenty of space for a good size dining table - perfect for the occasional dinner party. 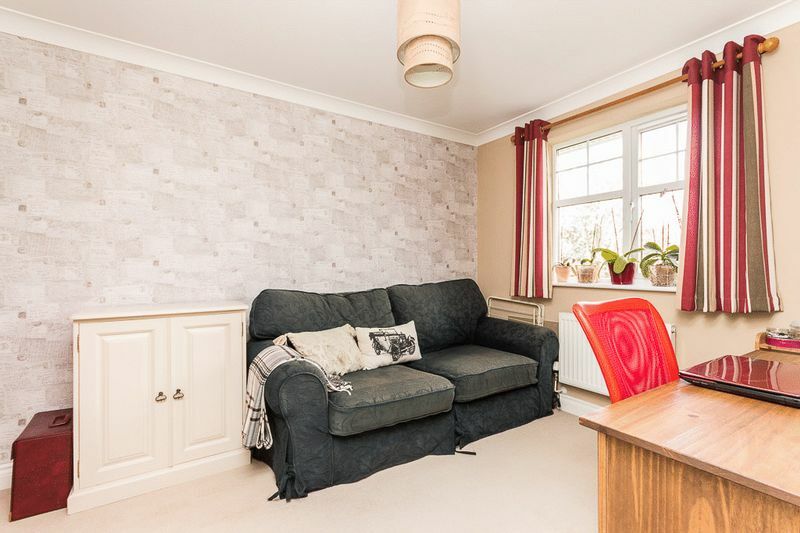 This room could also be used as a downstairs study or play room or snug as the kitchen also has space for a dining table. A further door opens into the kitchen/breakfast room. 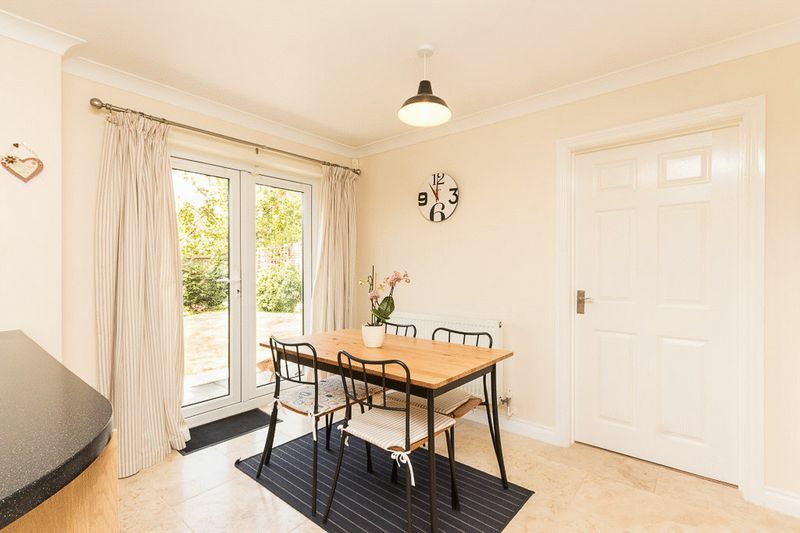 The kitchen/breakfast room is the heart of the home offering a great family space. 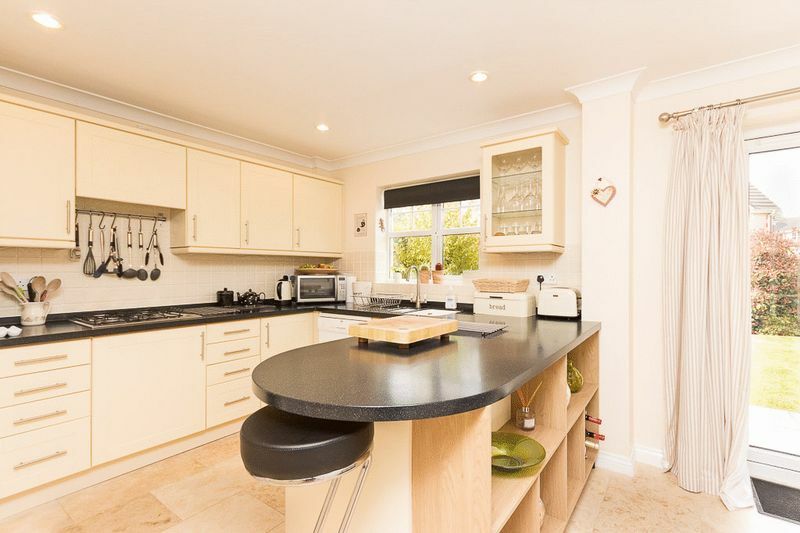 Tastefully designed comprising a breakfast bar area with space beneath for storage and decorative items. The remainder of the kitchen has an array of storage utilising every bit of available space resulting in a kitchen with a place for everything! There is a one and a half bowl sink and drainer set into the work tops and space for a dishwasher. Two electric ovens are integrated along with a fridge freezer and there is also a 4 burner gas hob with extractor hood over. Space for a dishwasher. 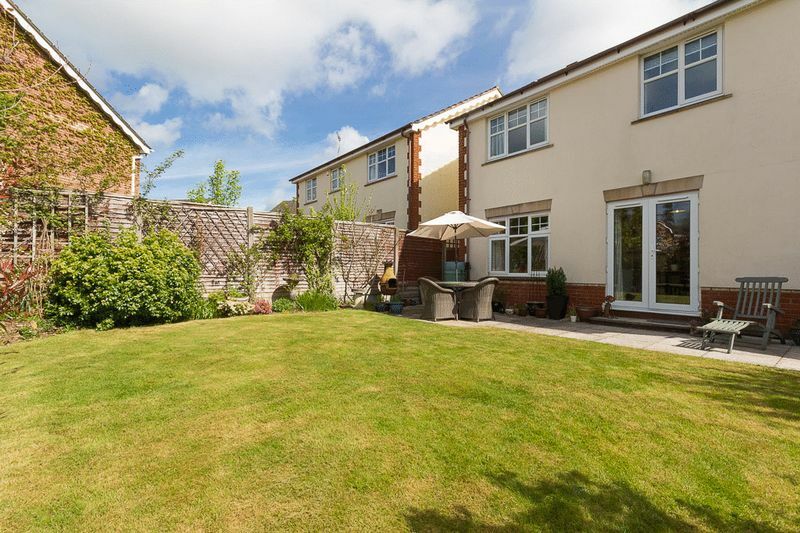 There is also plenty of versatile space to house further seating or other furniture, French doors lead onto the property’s rear patio area and the established rear garden. 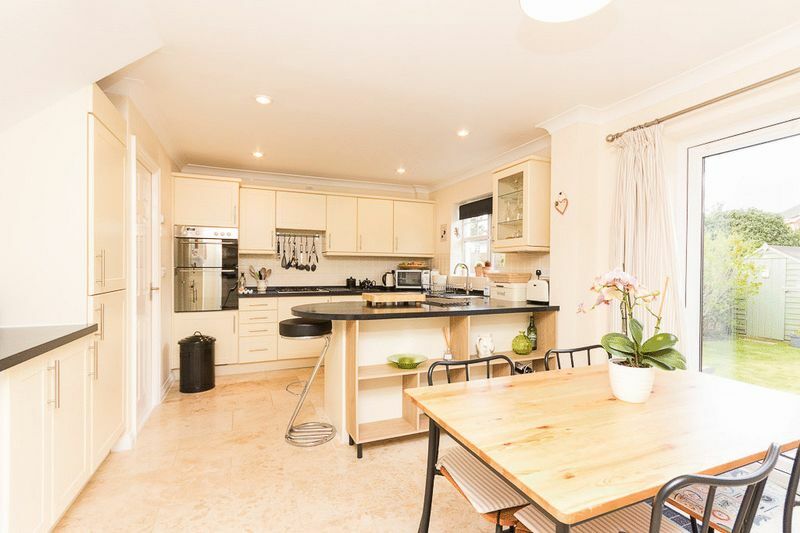 From the kitchen is a separate utility room which has a sink and drainer set into a work top with base level storage units housing an additional integrated fridge. There is space and plumbing for a washing machine. A side door leads to a path giving access to both the rear garden and to a gate to the front of the house. From the utility a door leads into the remainder of the garage, ideal for storage. With up and over door onto the driveway. The first floor landing has a double opening airing cupboard which houses the 'Megaflow' hot water system and a hatch to the loft void. 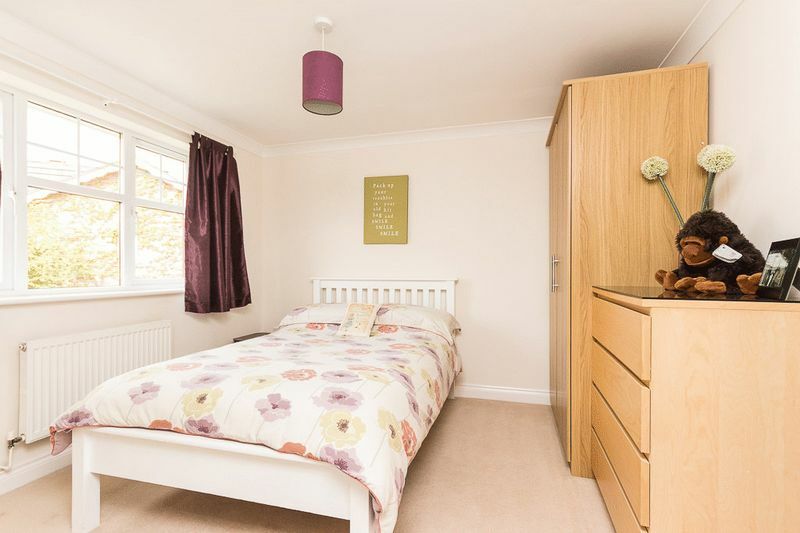 The master bedroom is a great size room with his and her fitted wardrobes and double doors leading into the en-suite, a partly tiled shower room with a shower unit, a WC and a pedestal wash hand basin. An obscure glazed window allows natural ventilation. 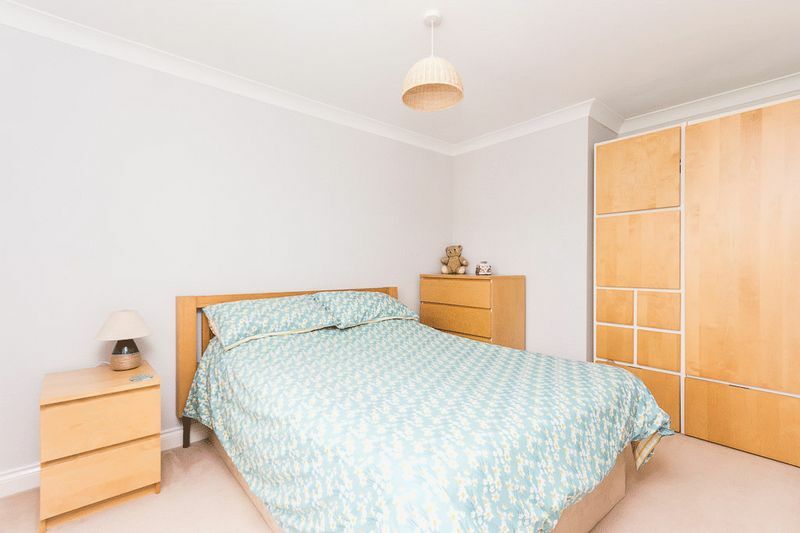 The remaining bedrooms are all double rooms with space for wardrobes. Bedroom three overlooks the front aspect and bedrooms two and four overlook the beautiful rear garden. 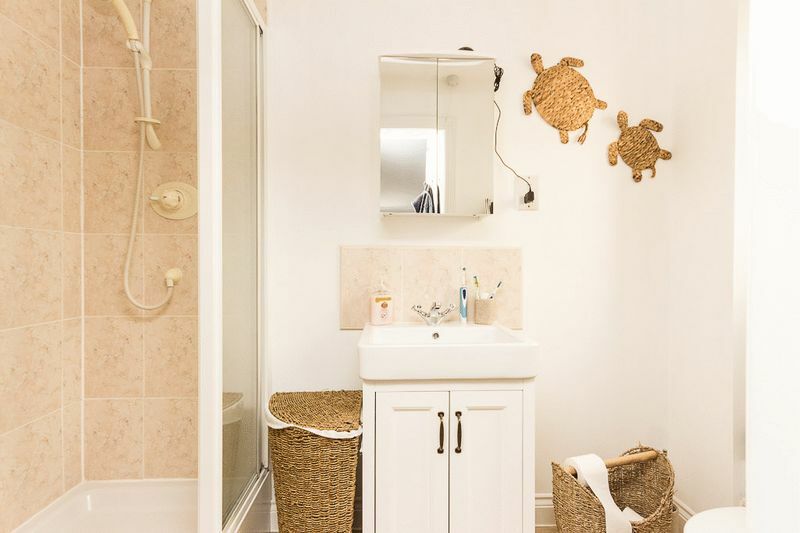 The family bathroom has tiled walls and floor and is fitted with a paneled bath with shower attachment, a WC, a pedestal wash hand basin, radiator and an extractor fan. An obscure glazed window allows both natural light and ventilation. 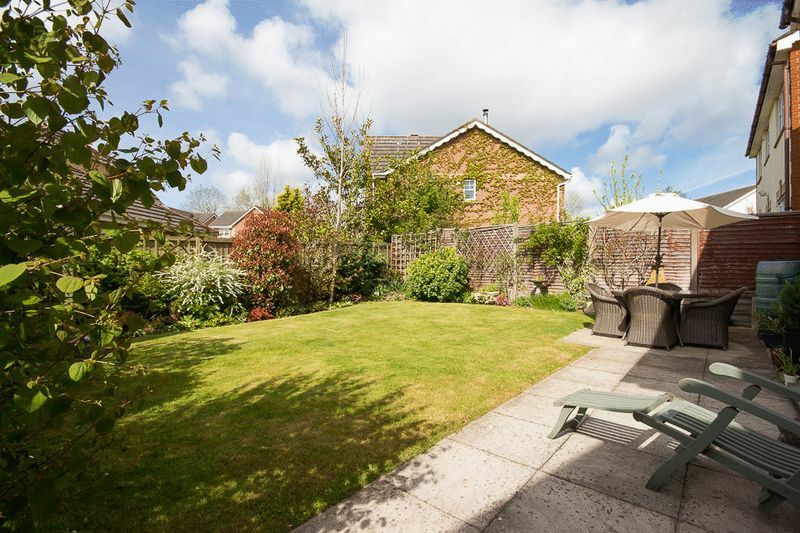 The rear garden is absolutely delightful, with it being South Westerly facing it is perfectly positioned to receive high levels of sun throughout the day. There are established flower bed borders consisting of a range of small plants, mixed shrubbery and trees. The patio area provides ample room for a substantial table and chairs, perfect for alfresco dining in the summer months. There is access to the side of house to the utility room, double driveway and to the remainder of the garage which is still of a good size. The rear of the garage has been converted into a utility room. To the other side of the house there is a small shed. There is a further garden shed to the bottom of the garden - perfect for further outdoor storage! 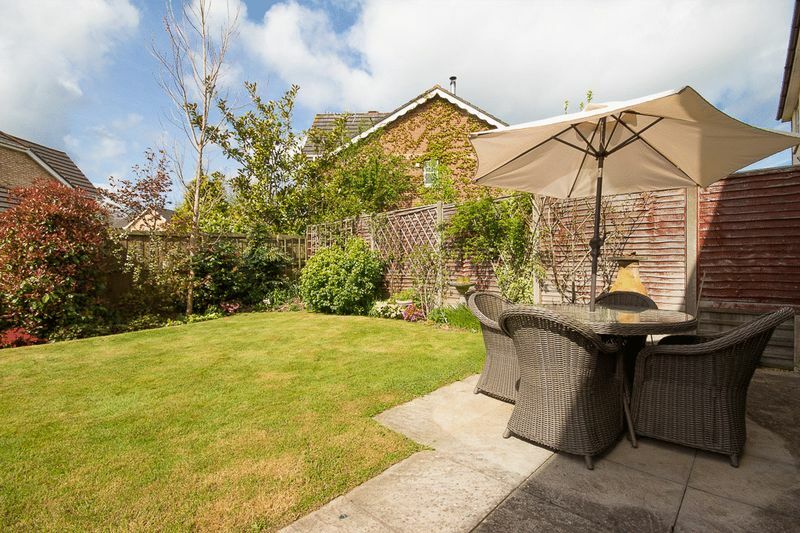 The front garden is currently laid to a neat lawn with shrubs and bushes providing a pleasant approach to the property as well as potential for further parking STP. From our Chudleigh office, 31 Fore Street, continue northeast along B3344 (New Exeter Street) in 0.4 miles turn right onto Millstream Meadow. 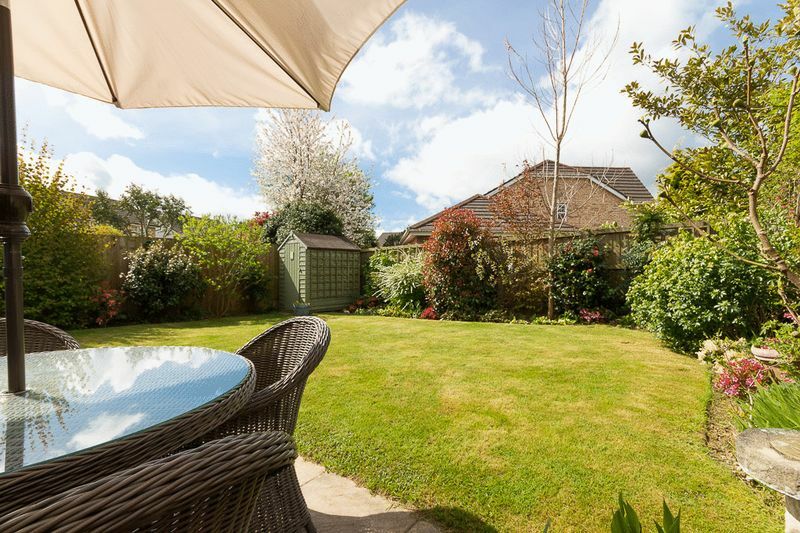 Continue past the cricket field for roughly 200 meters and the property will be on your right.